Cactus (Paris) xiv. No. 63, 139 (1959). Origin and Habitat: Along the Chilean coast, both north and south of Quebrada Carrizal Bajo (28°08'S), Atacama, Chile. Altitude: 200–500 metres above sea level. Habitat: It grows near the coast, in a very dry area on sandy alluvial and rocky soils on the sea side hills. Despite the lack of rain where it lives, the extreme aridity is attenuated by the frequent, often dense, coastal fogs. It shows a recurrent pattern; usually it is overcast in the early mornings, the clouds dissipating during the late morning and returning during the late afternoons. The coastal formations in this region have vegetation corresponding to the Desierto Costero Huasco (Huasco coastal desert). Due to occasional precipitation, this vegetation has more permanence and continuity than the vegetation occurring farther north. 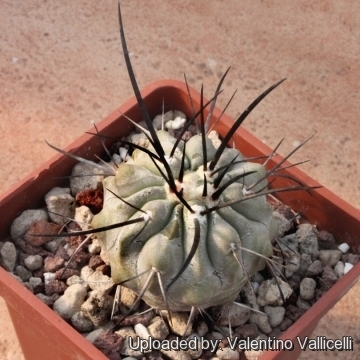 The endemics include Copiapoa echinoides, Copiapoa malletiana, Eriosyce napina, Neoporteria carrizalensis and Neoporteria villosa var. laniceps. At times this region is dominated by geophytes, which can cover expanses of the desert spectacularly. 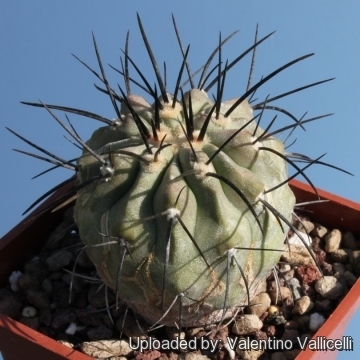 Description: Copiapoa carrizalensis forms huge mounds in habitat more than 1,80 m across composed of hundreds of individual, closely packed heads. 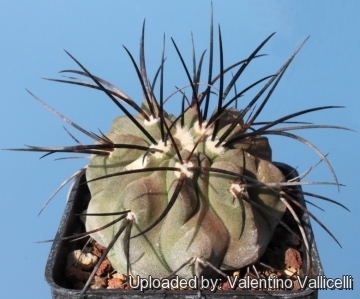 The stem is divided into shallow ribs with dense needle-like spines. 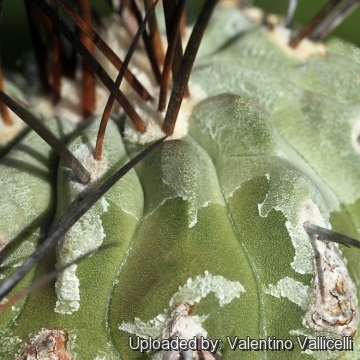 Aeroles are wooly but most of the wool is concentrated on top of the cactus where it is much thicker. 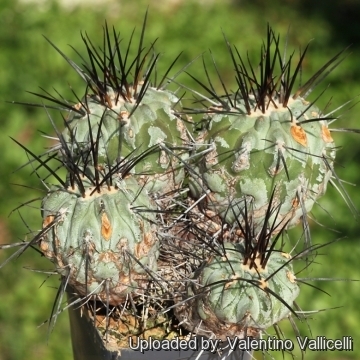 It similar to Copiapoa cinerea but usually with longer spines and greener body. 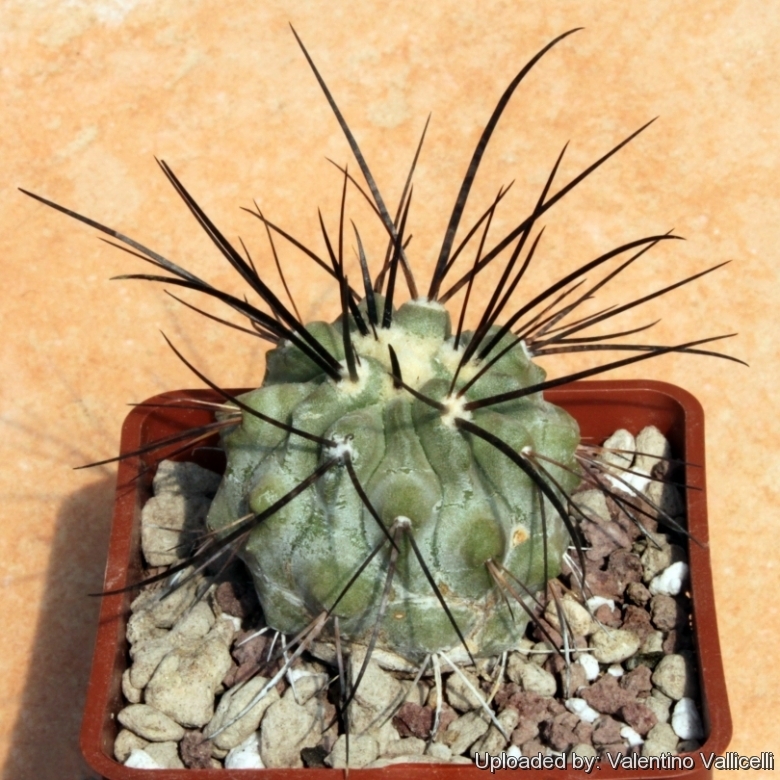 Spines: up to 8, stout, straight, stiff, needle-like, black to light brown, becoming greyish white as they ages. 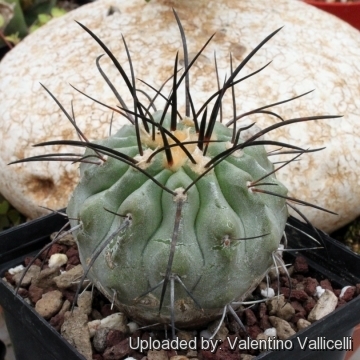 The very similar Copiapoa dealbata has mostly 1 single spine per areloa. 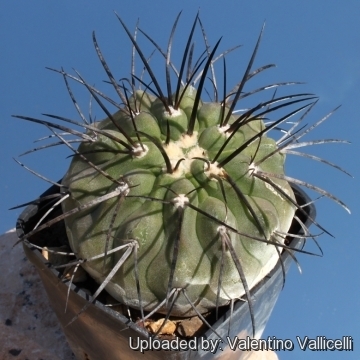 Central spines: 1, sometimes absent, stouter 2 to 5 cm long.